Second, you can use Improved Import and Export extension by FireBear company. With native Magento 2 import process everything is clear. As for Improved Import and Export it brings more enhancements to the import process and allows importing tier prices along with products, with native doesn’t. First and foremost it allows you to schedule the import jobs to run automatically. Second it supports more import sources including Google Sheets, meaning that you can work together with your colleagues or supplier on a single sheet, then paste it and schedule automatic updates. Average import speed ~3000 products/min. Yes, the import procedure requires preparations. Some. Actually you only need to get a properly formatted CSV or XML table. In your Magento 2 backend. Login, navigate to System > Import > select Advanced Pricing > Download sample file. In GitHub. Navigate to FireBear Studio GitHub and download the sample import table. In Google Sheets. Navigate to Master Google Table and save it to your Google Drive. We recommend you to use Google Sheet. This sample table comes with Advanced Pricing attribute description and clues on which values are required in every column. Remember, you can use your own import table formatting and map the field separator and text delimiter later during the import process. Meaning that if you are working with the custom table provided by your supplier you can still get it to work. We will talk about it a bit later. Now that we have a properly formatted table it is time to fill it with the Advanced Pricing attributes, i.e. name columns and submit proper values. Advanced Pricing or tier prices are applied per product, meaning that you will need to specify the product SKU for reference and then advanced pricing attributes. sku SKU is the first field of the table and canNOT be removed. For every instance of Tier Price you need to specify a separate product line. Meaning that if product has two tier prices these will be imported in two lines Can be up to 64 characters in length. It must be a unique value for every product. It is used to identify the product and is the only mandatory field. You can find SKUs for products already in the catalog at Catalog > Products. tier_price_website Defines the websites where the tier price is available. tier_price_customer_group Defines customer groups for which the tier prices are available When typing in customer groups mind the case. If specifying multiple groups, separate each with a comma and without a space. As you can see from the table above the Magento 2 import procedure uses SKU to identity the product and then tier price attributes to apply proper discounts to it. 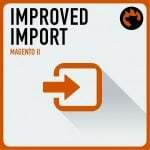 In this chapter we will talk about how to import tier prices with native Magento 2 import. We will be using the import table composed by the FireBear team in the Master Google Sheet. If you want to use the same sample table, make sure you have imported or created products with same SKUs. Otherwise the import will fail as it only allows adding tier prices to existing products. Another important notice, is that every tier price should be imported in a dedicated row. What it means is that you cannot import two tier price conditions for a single product in a single row of the import table. At the screenshot you can see that in the rows 2 and 3 we are importing two tier prices for product with SKU:TST-Conf-Simp-S-Gray, and in rows 4 and 5 tier prices for product with SKU:TST-Conf-Simp-S-Green. Take it into the account if you want to import multiple tier prices for a single Magento 2 product. Now to the import itself. Log in to your Magento 2 admin panel and navigate to System > Import. That’s where the magic happens. In the Entity Type field select Advanced Pricing and scroll a bit down to the Import Behavior settings. Here you need to select Import Behavior. Whether you want to add, replace or delete tier prices from the import table. And decide whether the import should stop if any errors. Next, if you are using different table formatting from the one supported by Magento 2, you need to set proper Field and Multiple value separators. You can skip the Fields enclosure checkbox as it is only used for product attribute ‘additional_attributes’. When you are done with import behavior scroll to the last configuration section File to Import. Here you need to click ‘Choose File’ button and locate the import table you have prepared. You can ignore Images File Directory field, as you won’t be importing product image. If you have any errors Magento 2 will let you know which rows or columns contain them. If everything is correct and the file is valid you can click ‘Import’ button to start the import process. That’s it! You have just imported tier prices for your products. Now if you want to learn how to import tier prices along with products, in a single file, – read the next chapter. Default Magento 2 import only allows to import products and tier prices in the separate files. Which may not be convenient if you are migrating the whole store, or want to import the list provided by your supplier. With Improved Import and Export extension you can import both products and tier prices in a single file. The extension uses import jobs – an import entity that can be run manually or scheduled to run automatically. Follow the steps below to learn how to do it. We will be importing tier prices along with products and will need a new import table for this task. You have guessed right, we will be using product attributes in a single table with tier_prices attribute introduced by Improved Import and Export extension. You can get a sample Product+Advanced Pricing import table at the Master Google Sheet. In the table you will find a set of simple products with tier prices and a description with explanatory text. Customer Group – is the name of the customer group the tier price will be applied to. Mind the letter case when typing customer group name. Product qty – product quantity customer has to add to the cart to be a subject for the tier price. Discounted price – fixed price of the product that will be applied once customer adds to the cart required quantity of the product. Discount percent – a discount that will be applied to the product price once customer adds to the cart required quantity of the product. Website – the code of the website the tier price is applied to. You can find the code of the website at Stores > All Stores > Click required website in the grid > Copy the value in ‘code’ field. Use ‘All’ to apply to All Websites. Use comma to separate tier price attributes and pipe to separate multiple tier prices. You can only use either a Discounted price or Discount percent. If you want to use Discount percent – set Discounted price value to ‘0. Note, how the first tire price is a ‘Fixed’ value and the second is ‘Discount’ and see how we composed the tier_price value. Composing such values is pretty simple if you have a visual reference before you. Try composing tier price values yourself and remember to use this Google Sheet as a live example. Log in to your Magento 2 admin panel and navigate to System > Improved Import / Export > Import Jobs. You will see the import jobs grid where you will edit and manage your import jobs. Click ‘Add New Job’ button to proceed. Here you will need to name the import job to identify it later. Set the job frequency using the cron scheduler. You can read more about how to set up cron in the extension manual. And select the locale of the store you will be importing products with advanced pricing to. Re-Index after Import – allows rebuilding store indices after the import process is complete. May be required for some stores – consult your developer for more information. Note how we are importing products and not Advanced Pricing. As we have mentioned before Improved Import and Export extension allows importing products along with tier prices. Or delete products in the import table from the catalog. Decide on the validation strategy – if the import job should stop if a set amount of errors encountered. And set field, multiple value and category separators, if you are using a table of custom formatting. At last, in the Import Source you upload the import table. You can upload the import table from local folder, direct URL, FTP/SFTP, Dropbox or paste the link from the Google Sheets. Don’t forget to click ‘Validate’ button once the path to the import table is specified. More information on every import source can be found in the extension manual. When importing products you can also set up category and attribute mapping, decide how configurable products should be imported and created. However in this guide we will only cover general import job settings. For the full list of instructions read Improved Import and Export manual. Now, you only need to run the import job we have composed. To do this hit ‘Save & Run’ button in the upper right corner. And then ‘Run’ button at the popover. The extension will execute import procedure and provide you with the job log. In the job log you can get the idea of how the import process went. The log can later be accessed from the Edit Job screen or at var/log/firebear folder at your store FTP. That covers Advanced Pricing import to you Magento 2 store. 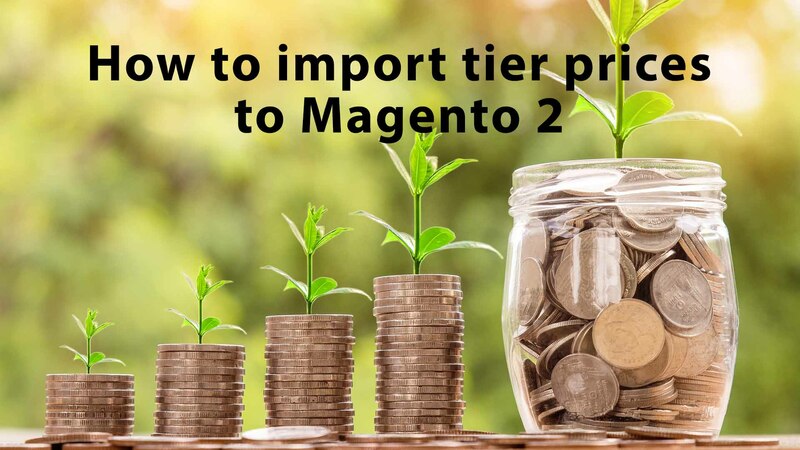 In this article you have learned how to import tier prices using native Magento 2 import and Improved Import and Export extension. If you require instructions on how to import other entities to your Magento 2 store read through the dedicated blog articles.